David is a graduate of the University of Florida (BSBA ’79), Trinity School for Ministry (M. Div. 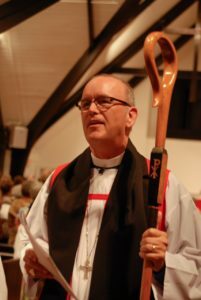 ’83) where he has continued post graduate studies, and has been in ordained ministry for 35 years, serving several churches in Florida and South Carolina: St. Michael’s Episcopal, Orlando, FL, Assistant Rector; Church of the Good Shepherd, Jacksonville, FL, Associate Rector; Church of St. Luke and St. Peter, St. Cloud, FL, Rector; All Saints Church, Pawleys Island, SC, Sr. Pastor; Christ Church, Murrells Inlet, SC, Church Planter & Sr. Pastor/Rector. David has a passion to see God’s Word and Spirit shape men, women and children into fully devoted disciples of Jesus Christ in the context of the local Church and coming alongside others who seek to do the same. 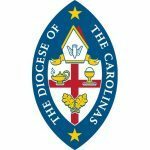 David currently works overseeing diocesan church planting, the credentialing process along with leading retreats, ordinations and confirmations. He and his wife, Nancy, have been married for 35 years and have three grown children Collins (Ali), Tricia (Nic) and Duncan (Hayley) and grandchild Samson David. Connect with Bishop Bryan on Twitter @davidbryan57 and on his Facebook page.